Late Triassic – approx. 225 millions years old. 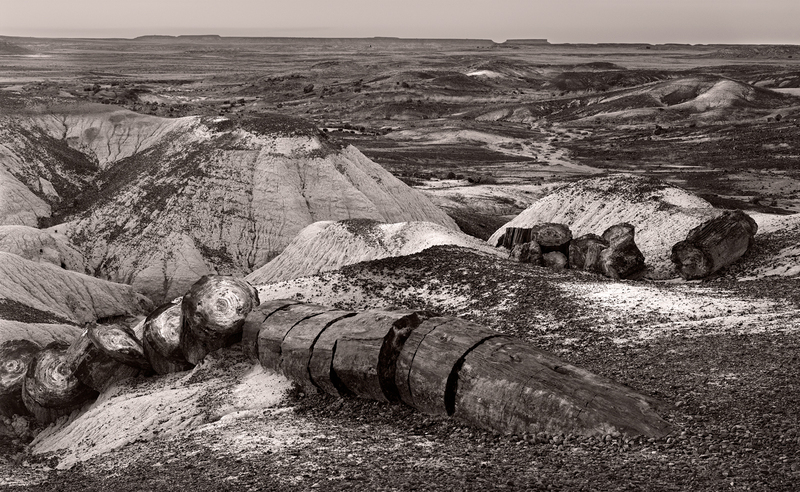 During the Late Triassic, downed trees accumulating in river channels were buried periodically by sediment containing volcanic ash. Groundwater dissolved silica (silicon dioxide) from the ash and carried it into the logs, where it formed quartz crystals that gradually replaced the organic matter.Much of the park’s petrified wood is from Araucarioxylon arizonicum trees, while some found in the northern part of the park is from Woodworthia arizonica and Schilderia adamanica trees. At least nine species of fossil trees from the park have been identified; all are extinct.